If the way your bathroom looks puts you in a bad mood, there is absolutely no reason to leave it in that state. Many homeowners may think that taking on any kind of bathroom remodeling project is terribly challenging and an inconvenience. This is a big reason why so many homeowners just turn a blind eye to their bathroom’s needs. Fortunately, Bath Planet has dramatically changed the bathroom remodeling industry for the better. We believe that everyone deserves a gorgeous and relaxing bathroom that doesn’t make you cringe when you have to step into it. 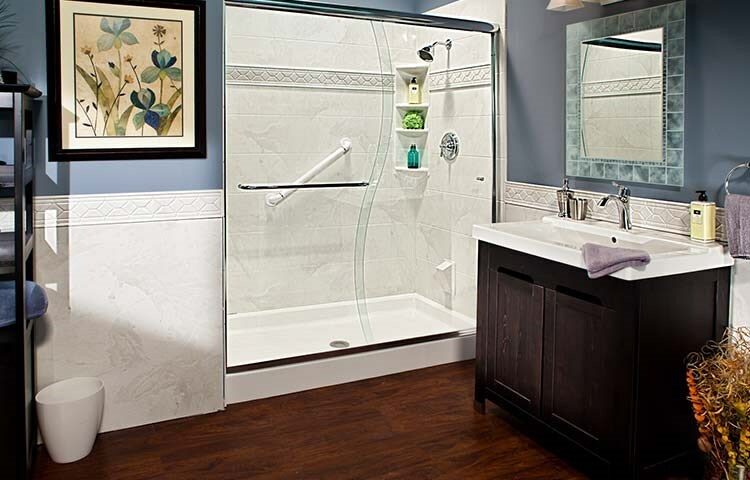 We believe that you deserve a bathroom that you are proud to show off and have company use. That’s why we have made our bathroom remodeling process so convenient and affordable, plus, we offer many options so you can find the perfect one for you. Our talented contractors and designers will show you exactly what is holding your bathroom back and give you a few options to fix it. Regardless of what’s holding your bathroom back, we have the perfect solution. Our high-quality and durable bath liners, replacement bathtubs, and bath wall surrounds can instantly give your bathroom an updated and modern look of beauty. Plus, we offer cutting edge accessibility options like tub-to-shower conversions, walk-in tubs, and barrier-free showers. We can help you or your loved one hold onto their bathing independence safely and affordably. One of our more popular remodeling option(s) is bath wall surrounds, which can renew the vibrancy of your bathroom at an affordable price. They are able to transform your bathroom in as little as one day so you don’t have to suffer the inconvenience of a long remodel. Each wall surround is customized and installed over your existing walls to guarantee a perfect fit. Our wall surrounds are non-porous to prevent mold and mildew from growing. They are even grout-free, which means no more bleaching or hard scrubbing. Here at Bath Planet, we strive to give you the best product and installation so you can have peace of mind when it comes to your bathroom, which is why we proudly back them with a limited lifetime warranty. If you truly want a stellar bathroom remodel, choose Bath Planet by contacting us today for a free consultation.